More than half of the US population will dip below the poverty line at some point before the age of 65. Many Americans may find themselves without health insurance at one point or another in life – which can be a very frightening experience. Whether a person is in between jobs; works without receiving employee benefits; or does not qualify for Medicaid due to non-expansion of the Affordable Care Act in their state, there are many reasons why an individual may not have access to health care for a span of months or even years. Because a person’s income or living situation may fluctuate, many adults who may qualify for low or no-cost health care may not even realize that a free clinic is there to provide a safety net during times of financial or professional insecurity. The free clinic model is a community resource to support healthy outcomes for those who are experiencing financial hardship. Free Clinics are run by experienced volunteer physicians and staff who believe that health care is a human right. Many Free Clinics Are Just Like Regular Primary Care Offices. Your visit to a free clinic will be confidential just like it would be at any other medical facility. At Barrier Islands Free Medical Clinic, our doctors are highly trained, and often specialize in diverse areas of medicine. It is common for our patients to see the same physician at every appointment. We are able to treat patients at our brand new, 7-exam room medical facility and address a range of specialties and health issues from diabetes to other chronic diseases; mental health disorders; dermatology; cardiology; gynecology, and more – for free. This is possible because our physicians serve as volunteers, and monetary contributions from the community cover needed medical expenses. Most Who Seek Medical Care at Free Clinics Have Jobs – Or Are Caretakers. It is a misconception that free clinic patients are unemployed or “seeking hand outs,” and many myths about poverty exist. Around 75% of the patients we treat at the free clinic have at least one job, and many hold as many as three jobs at a time. Despite working long hours, many of our patients do not receive work benefits and are also caretakers, spreading their income thin. Many of our patients are sole caretakers for children, the elderly, or infirm family members, and are therefore unable to find steady full time employment due to family obligations. Many Free Clinic Patients Are Young People Between Ages 26-35. While young people are less likely to seek preventative medicine or get sick, they are often among those without health insurance. Many young people who work in the food and beverage/hospitality business do not receive health insurance benefits, and make at or below 200% of the Federal Poverty Level – roughly below $24,400 a year for a single household. This age group more frequently jumps between places of employment and hold lower-paying positions. There are Free Clinics All Over the Country, In Every State. There is a National Association of Free and Charitable Clinics and Volunteers In Medicine Alliance across the United States. Some are completely free to eligible patients, and other operate on a sliding fee scale. Hundreds of free clinics across the nation are in continuous operation, but frequently their services are unknown to the larger community. Most funding for free clinics understandably goes to serve patient care and medical costs instead of marketing. A great way of giving back to your community (besides donating or volunteering) is to learn about your local free clinic and help promote their services – either in active conversation with people or businesses in your community, or by sharing their information via social media. There Is No Shame In Visiting a Free Clinic. The reality is, most Americans will find themselves in a period of financial instability at some point in their life. At Barrier Islands Free Medical Clinic, our trained volunteers are experienced and compassionate – and want to provide health care to those who do not have coverage. Individuals and foundations who donate or provide grants to help free clinics operate understand that a happy, productive and safe community begins with health care for all – and that everyone deserves the dignity of health care. 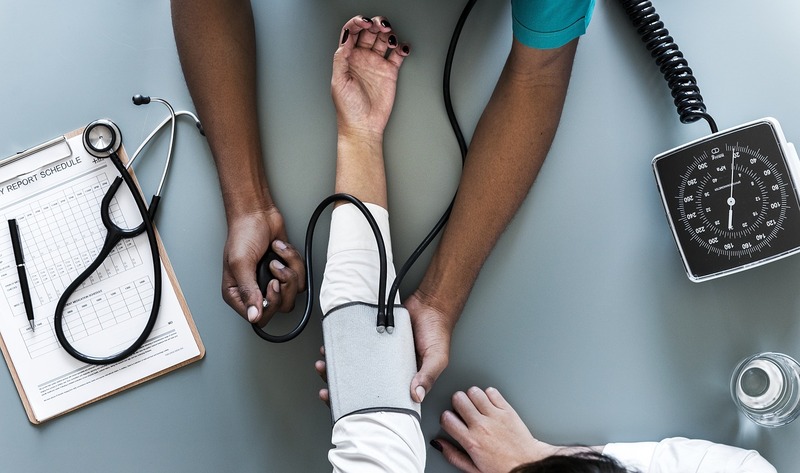 At Barrier Islands Free Medical Clinic, we are able to treat adults between 18-65 without health insurance, who live or work on Johns, James and Wadmalaw Islands, for free – but there are many other free clinics by district, state, and speciality. You can learn more here, or find a free clinic by state here. Barrier Islands Free Medical Clinic is a free clinic in Charleston, SC, that provides free medical care to eligible patients, just like any family practitioner or internist. The Free Clinic serves uninsured adults living at or below 200 % of the Federal poverty level who live or work on Johns, Wadmalaw or James Islands. You can follow us on Facebook, Twitter, Instagram and YouTube.